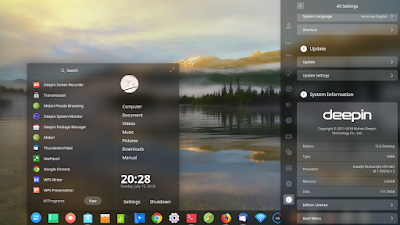 This tutorial explains how to install deepin 15.6 operating system. You may use this tutorial for both singleboot and dualboot mode. You will use USB Flash Drive as bootable media (you can burn the ISO with Multisystem or GNU dd), create two blank partitions before installing, and go through 15-20 minutes of the whole installation procedure (without internet access & all device drivers included). Happy installing! 1) Before doing anything, first create 2 blank disk partitions with one >=20GB and another one 1GB. 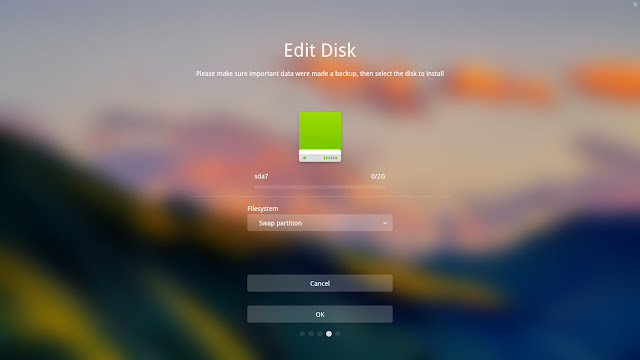 First blank partition will be your main partition, your root partition, partition where your deepin OS stored. Second one will be your swap. You can create partitions with the free, featureful GParted program (built-in inside Ubuntu and Mint LiveCDs if you have no time to download it) or simply use Disk Management in MS Windows with its Shrink option. 2) Burn your ISO image of deepin 15.6 into a 4GB or more USB Flash Drive. You can do it with Multisystem program (personally my favorite) or GNU dd (command line). The regular ISO image of deepin 15.6 actually contains LiveCD Session along with the default Installation Session. To run it, simply boot up your USB Flash Drive but in the bootloader splash screen: select deepin GNU/Linux entry, press E, and edit the code livecd-installer into livecd and press F10 to continue to LiveCD session. In the LiveCD session, open up terminal from desktop menu > Deepin Terminal. Run command $ lsblk to see where your target partition is. In this example, my prepared first blank partition is /dev/sda6 of 20GB and the second one is /dev/sda7 of 2GB. To see this information, you need LiveCD session, so this is why we enter the LiveCD session. Open up the file manager and unmount all patitions. Unless you do this before running the graphical installer, you cannot see your partitions on the partitioning step. So you must do this. Then, start the Graphical Installer by double-clicking Install Deepin icon on desktop. First step: choose your language. "English" is safe for most users. 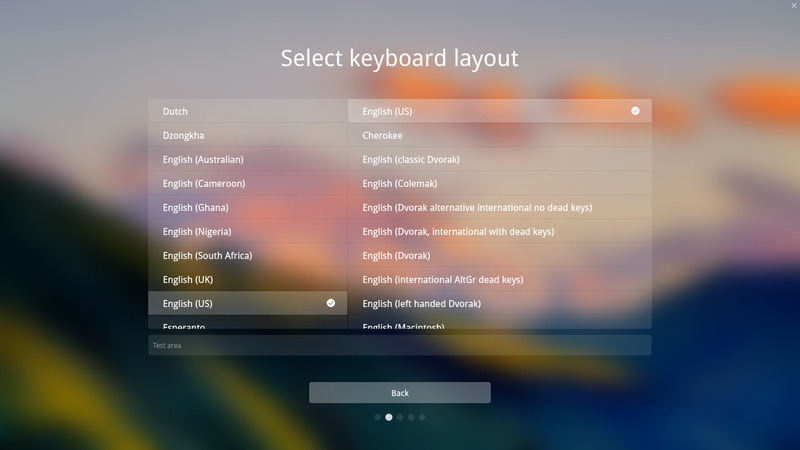 Second step: create user account and select a keyboard layout. 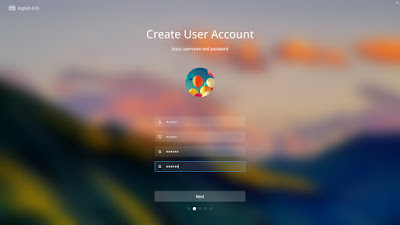 User account is your username and password; and the password here will be your sudo password as well later. And yes, you may also change your personal avatar icon here. See top-right corner, there's Keyboard Layout option: click it and select your layout. "English (US)" is safe choice for most users, unless you need special layout like Japanese, Arabic, or Russian. 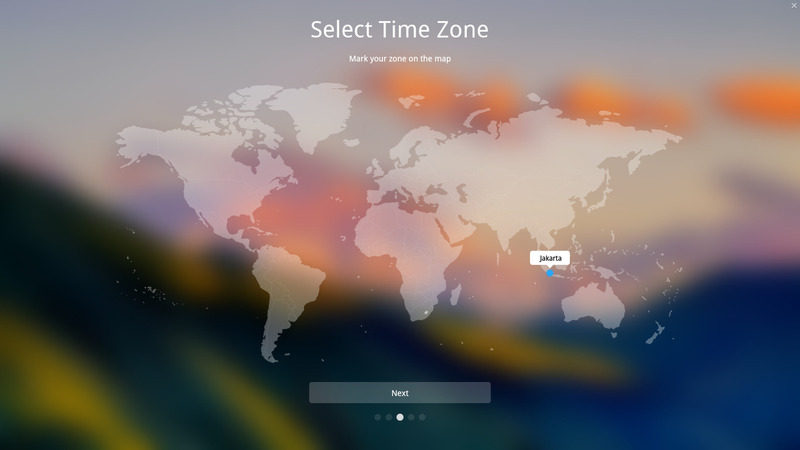 Third step: choose your time zone. For example, here I choose Jakarta, Indonesia to set GMT+7. Don't worry, this choice may be changed later. Fourth step: create your main partition and swap partition. NOTE: IF YOU DO NOT SEE YOUR PARTITIONS HERE, GO BACK TO UNMOUNT ALL PARTITIONS FIRST BEFORE RUNNING THE GRAPHICAL INSTALLER. 1) press Advanced button of the Simple|Advanced option. This enables manual partitioning. 3) then, select the second partition, the smaller one, and determine it to be Swap Partition. 4) all partitions done, recheck for the last time before proceeding to the actual formatting and installation. If everything is OK, press Start Installation button. Fifth step, checking the summary of all selections, then press Continue to start the real installation. Once pressed, selection partition will be formatted, and you cannot go back. While the progress running, deepin installer shows you presentations of deepin features which are all designed very aesthetically and pleasing. Just wait up to 20 minutes to finish all installation. Once finished, you will see the option to Reboot. 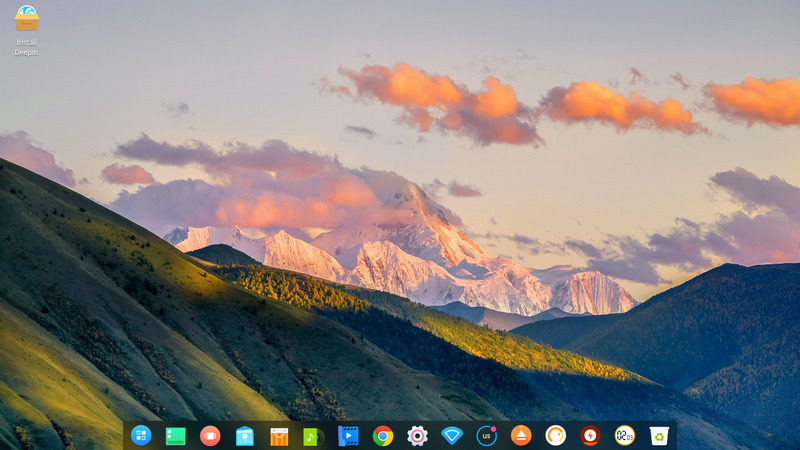 Go ahead and enjoy deepin 15.6!